Earn $9.10 in VIP credit (910 points)What's This? 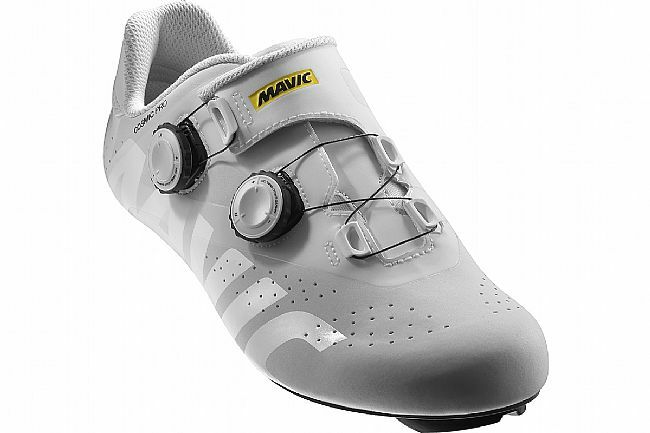 The Cosmic Pro 2018 Road Shoe from Mavic is lightweight, comfortable, stiff, and secure; ideal for performance racing and intense training. 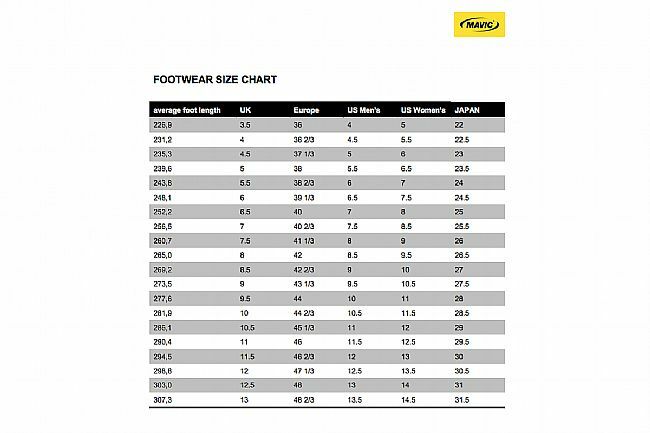 The upper is constructed from soft synthetic microfiber with laser cut ventilation holes, ensuring foot shape conformity and proper airflow. 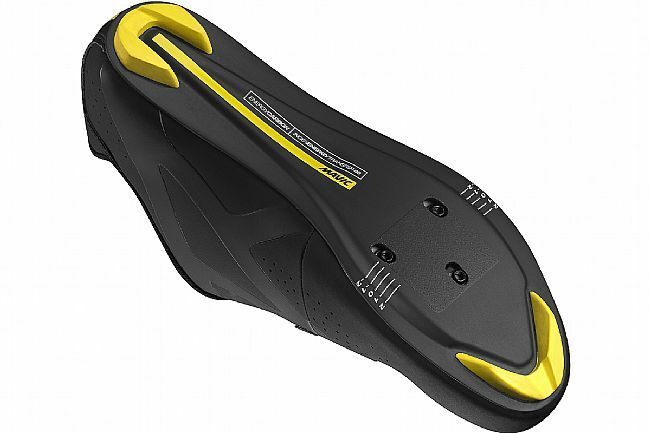 The Energy Carbon Outsole is thin, light, and rigid for efficient power transfer into the pedal. 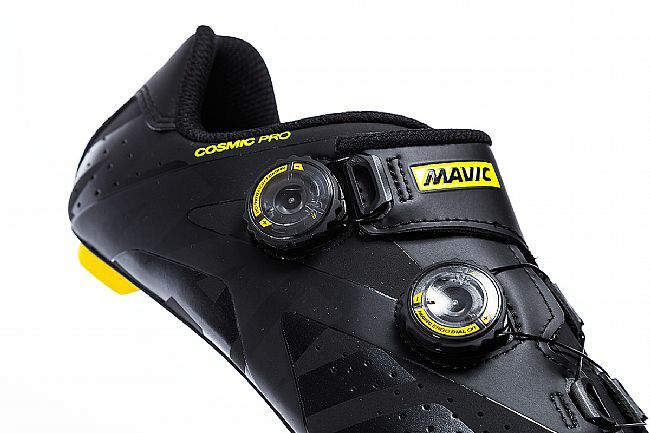 For a secure yet comfortable fit, the Cosmic Pro features Mavic’s Endofit™ tongue which acts as an internal sleeve, hugging the foot for a glove-like fit that keeps the foot and tongue in one place. 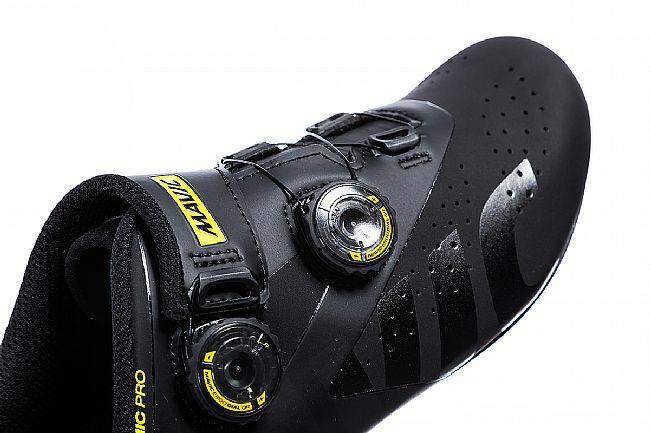 The Dual Ergo Dial QR system offers micro-adjustable, stable retention; its quick release feature instantly and fully releases retention for quick removal. 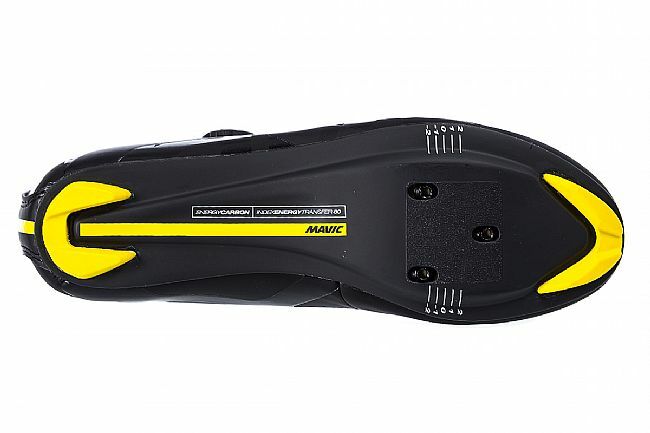 Energy Carbon Outsole for optimal power transfer. 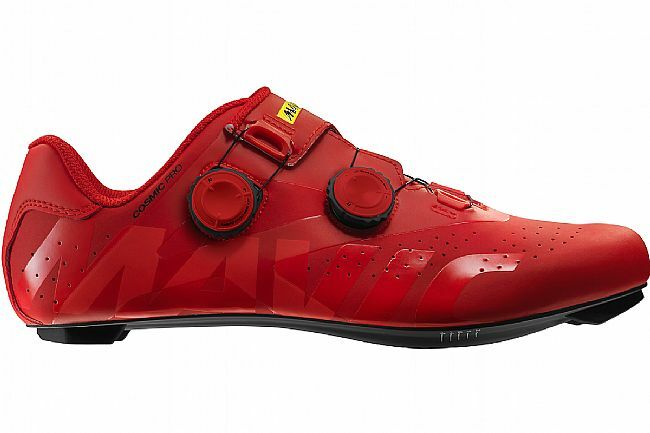 Energy Frame ensures secure foothold. 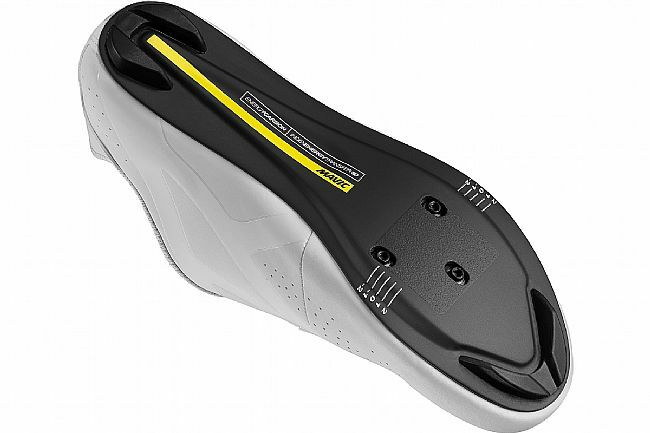 OrthoLite® foam offers comfort and arch support. 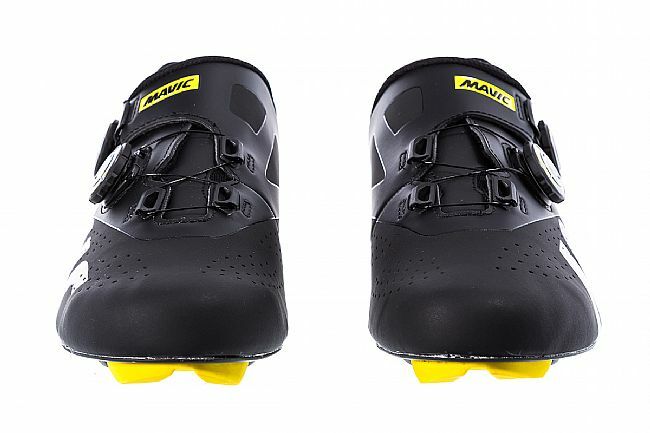 Dual Mavic Ergo Dial QR micro adjustable retention system. 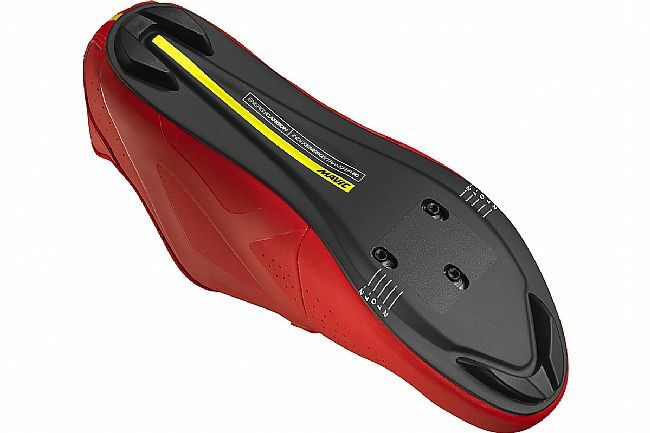 Supple synthetic microfiber upper w/ ventilation holes. 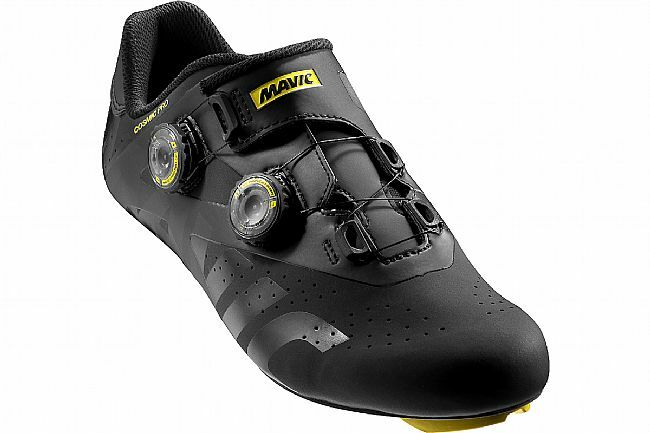 Includes 8mm screws (recommended length for carbon outsoles). 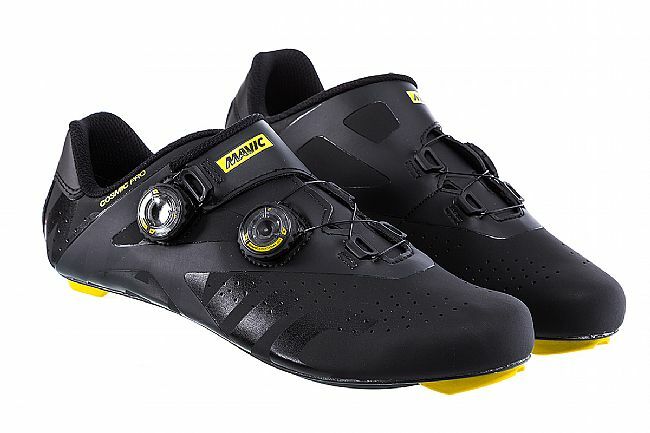 Compatible with three bolt road cleats and pedals.